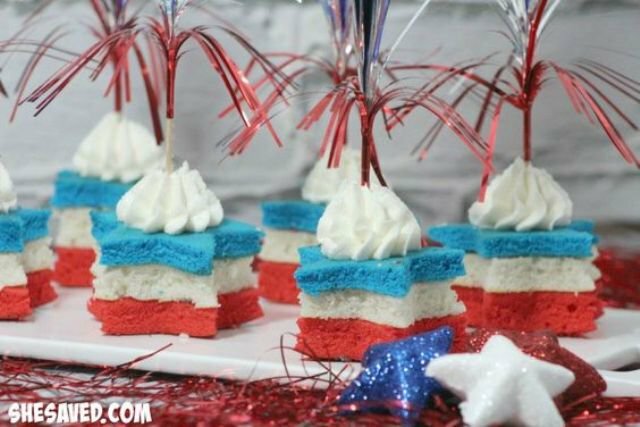 When I was younger, I always looked forward to our annual family event celebrating the 4th of July. 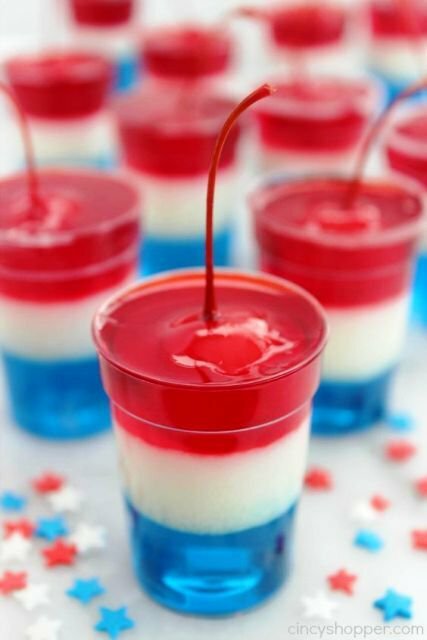 It was a full day and night party. 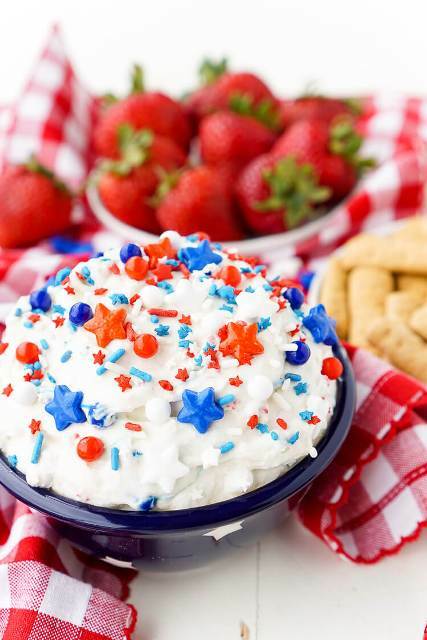 My grandparents, aunts and uncles and loads of cousins would all meet at our local park. 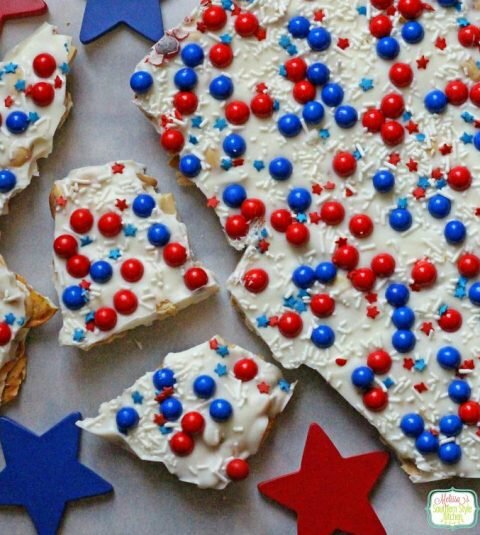 We had enough food for 100 people. 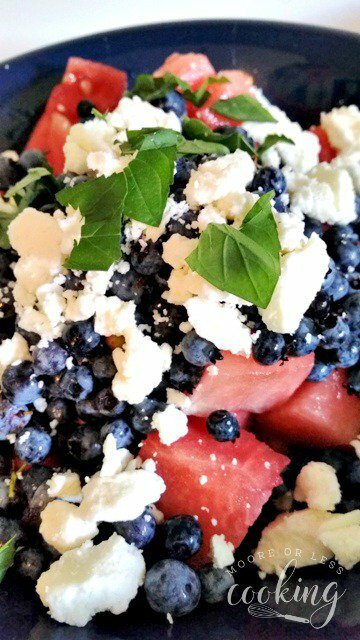 All of the favorites such as burgers, hot dogs, side salads and lots of watermelons. 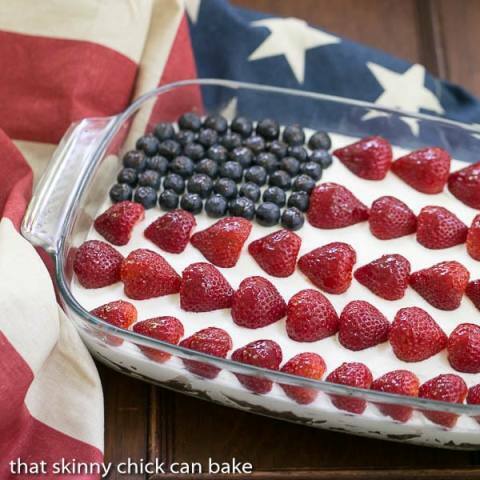 To top it off, there was always a giant sheet cake covered in fresh berries resembling the American Flag. 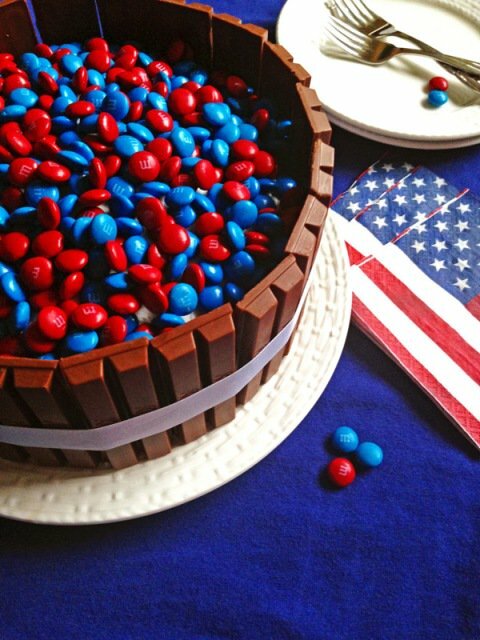 It was a piece of artwork, created by my cousins. 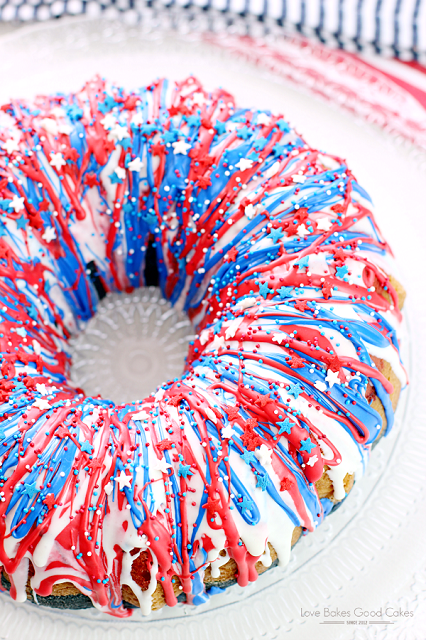 All of us kids would gather around the cake, begging for the biggest piece of cake as we lit our sparklers and ran amuck. 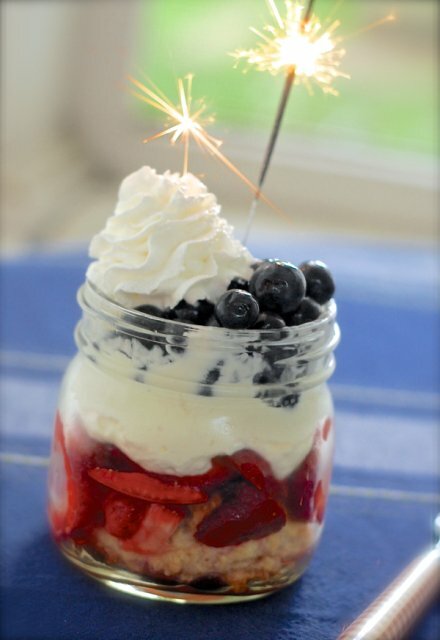 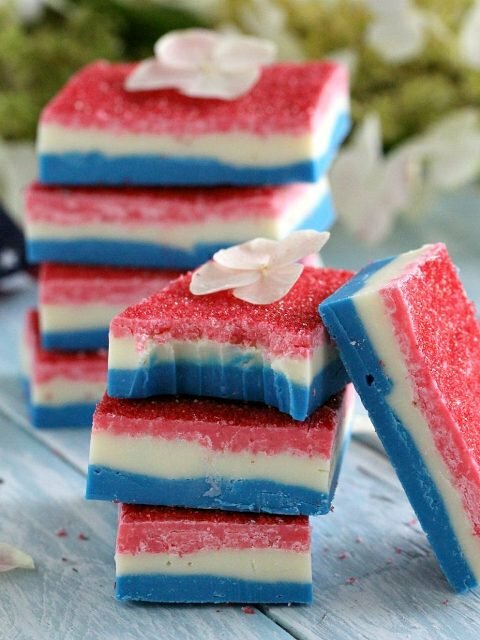 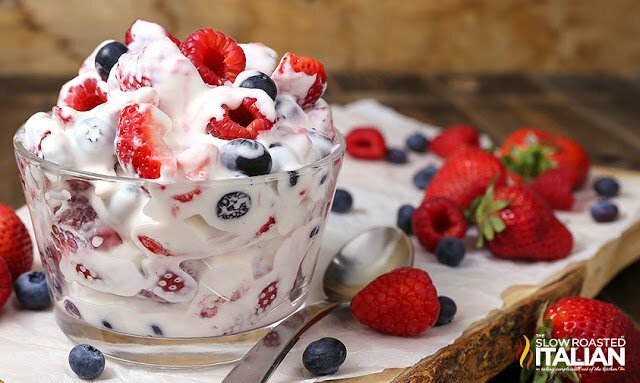 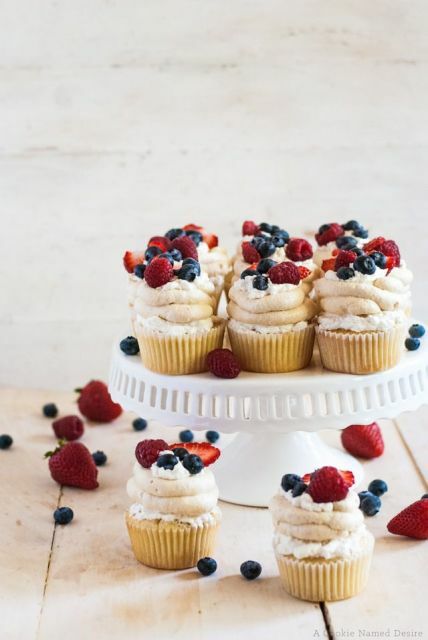 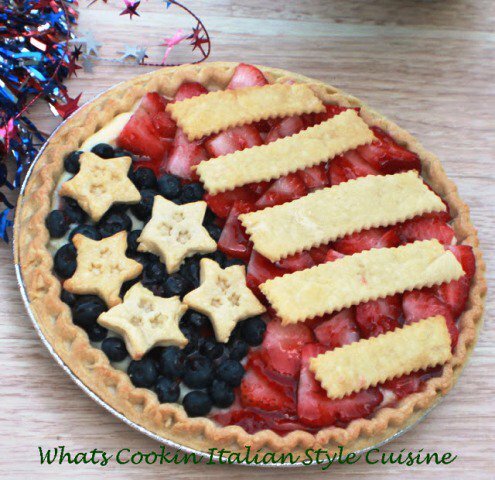 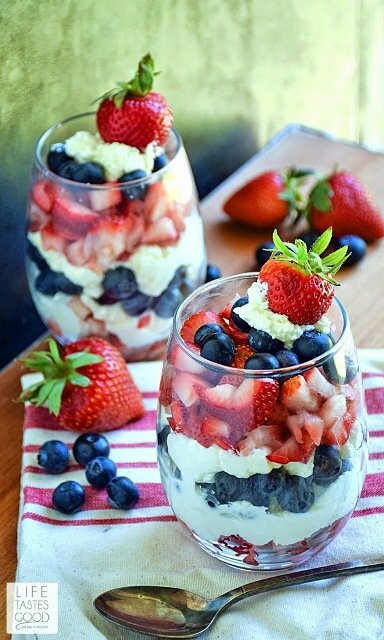 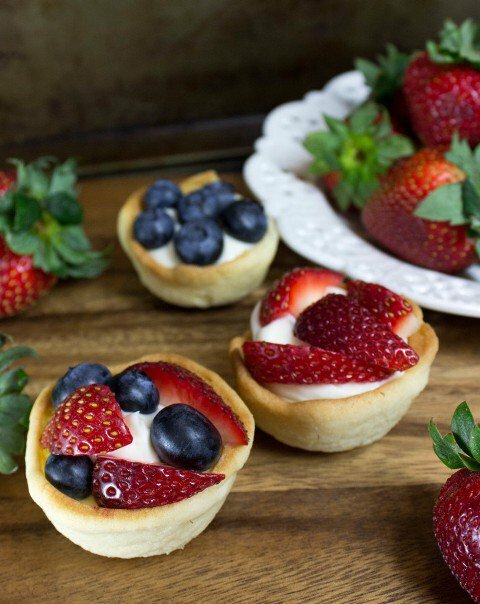 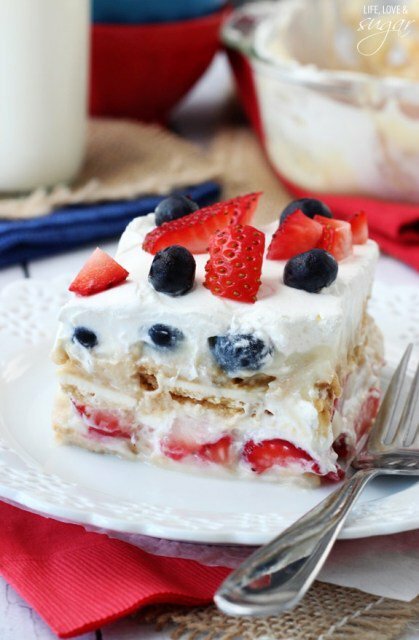 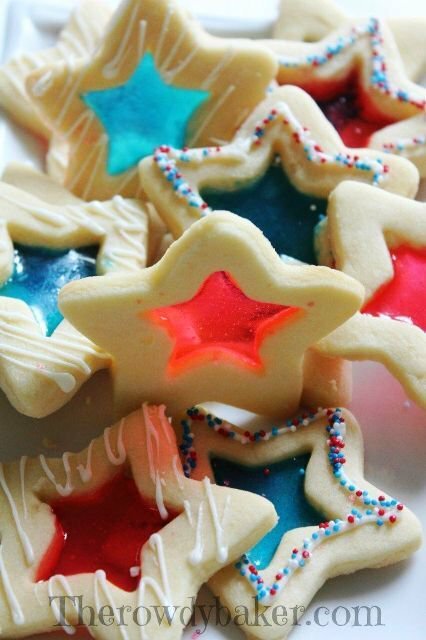 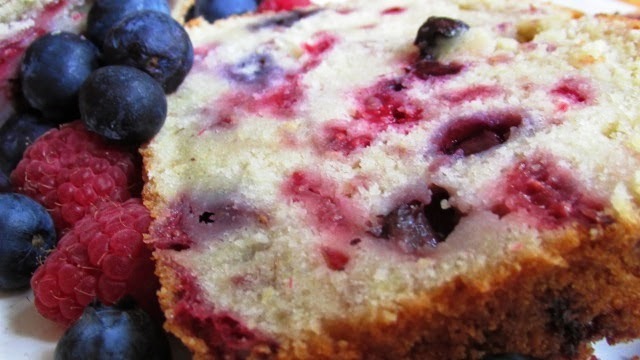 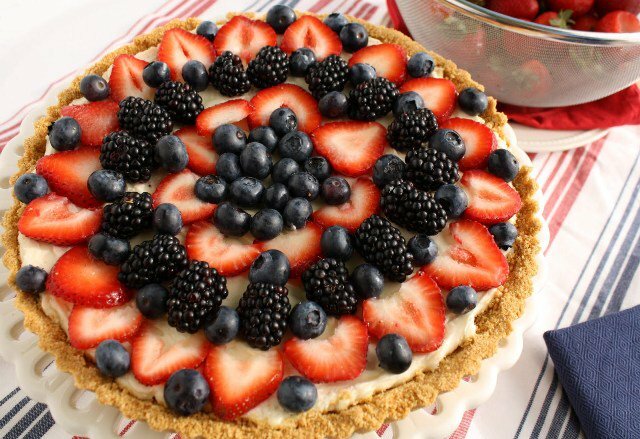 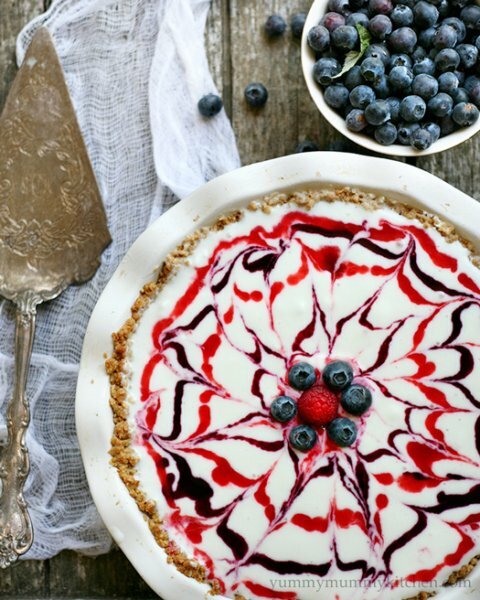 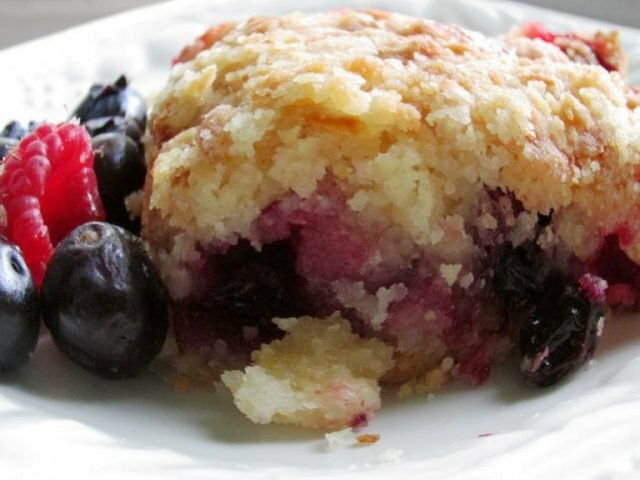 Here you will find 26 patriotic desserts to help celebrate the 4th of July. 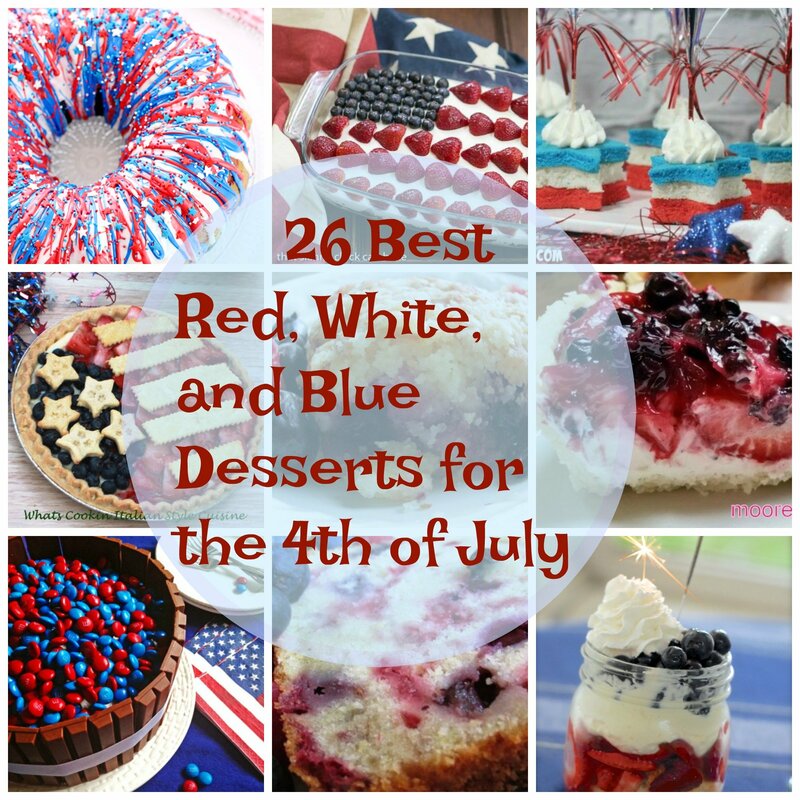 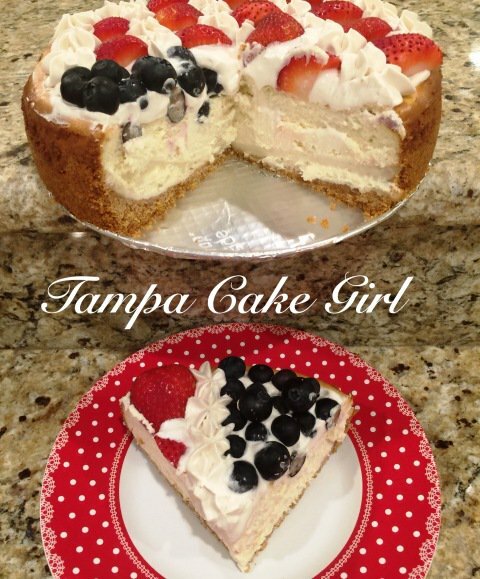 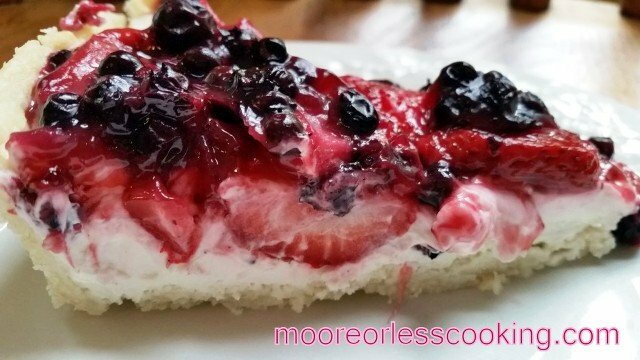 So many delicious desserts such as cheesecake, pound cake, fruit parfaits, pies, bars, cookies, cakes, fruit dips, bark and cupcakes to help show your patriotism. 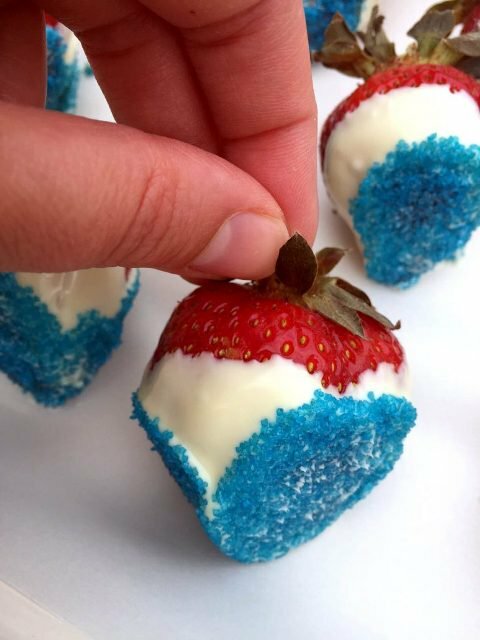 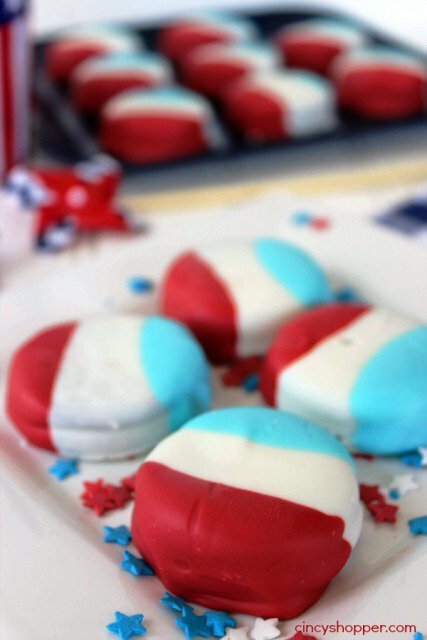 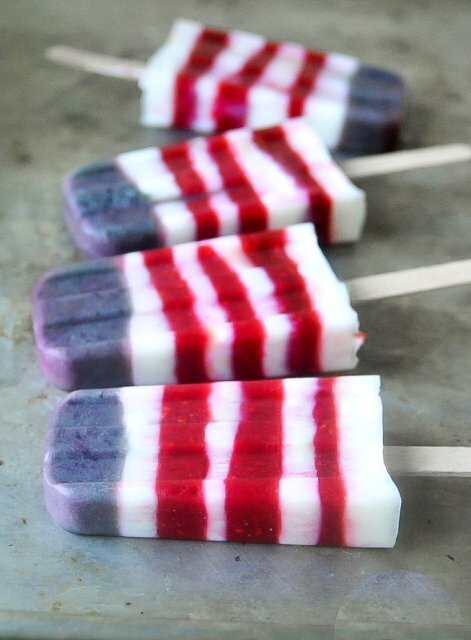 Scroll down to view all of the Red, White and Blue Treats!